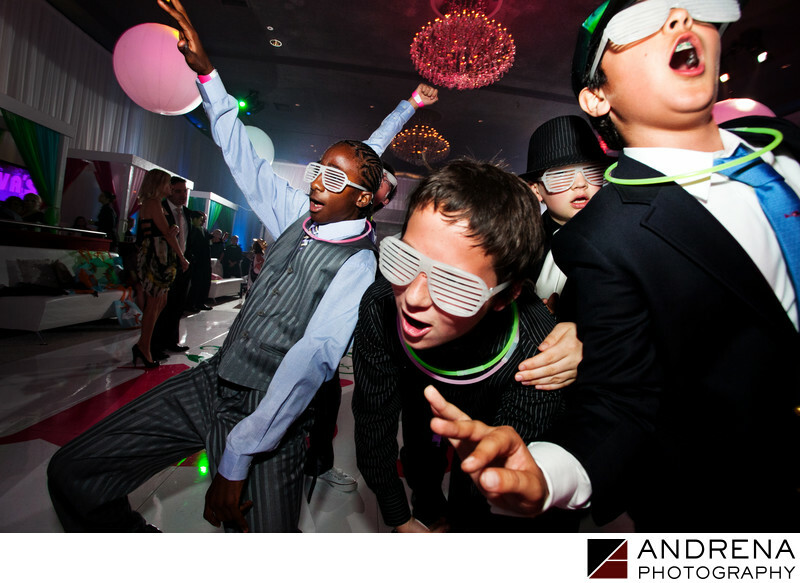 Los Angeles attracts some of the most skilled DJ's around, so it's no surprise that the dance floor is always jammed packed when photographers document a local Bar and Bat Mitzvah party in this exciting city. As an experienced photographic team, we are not shy about getting in on the action and encouraging guests to turn toward the camera, ensuring that we see faces and not just people's backs for dancing shots. These boys are clearly having the time of their lives, inspired by all the cool party favors that were handed out. We love the vibrant energy and real sense of movement captured in this action shot.